Taking inspiration from our rich heritage, we created an authentic Irish experience drawing from our many important traditions and talents. As guests arrived to the castle, amidst a welcome of bagpipes, owls and flames a sense of anticipation filled the air. A sampling of Guinness and some oysters au natural for the brave satiated the taste buds before guests were asked to go on a surprise journey…. 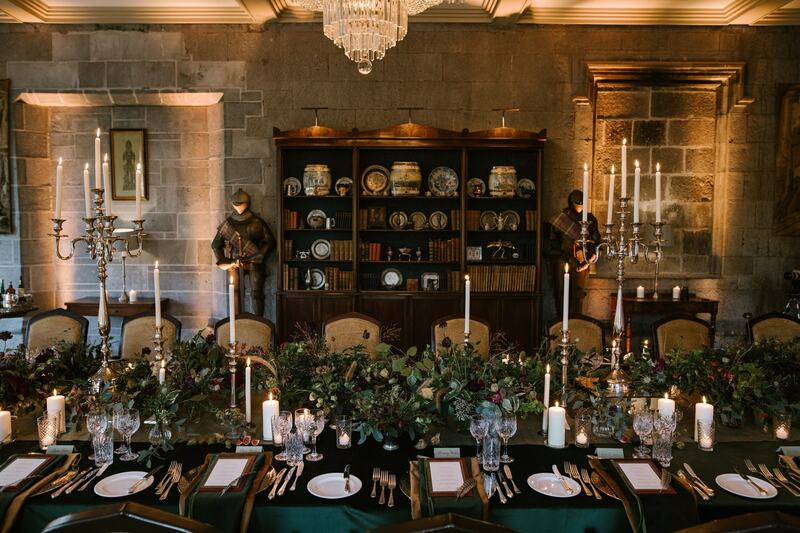 Majestic horse drawn carriages filled with cosy blankets and hot water bottles awaited guests as faerie-like footmen greeted them with a wink and a smile and guided them to the secret walled garden. Through magical mist and fog, soaring Celtic voices and the warrior beat of the bodhran transported guests to the by-gone days of Druid Ireland. 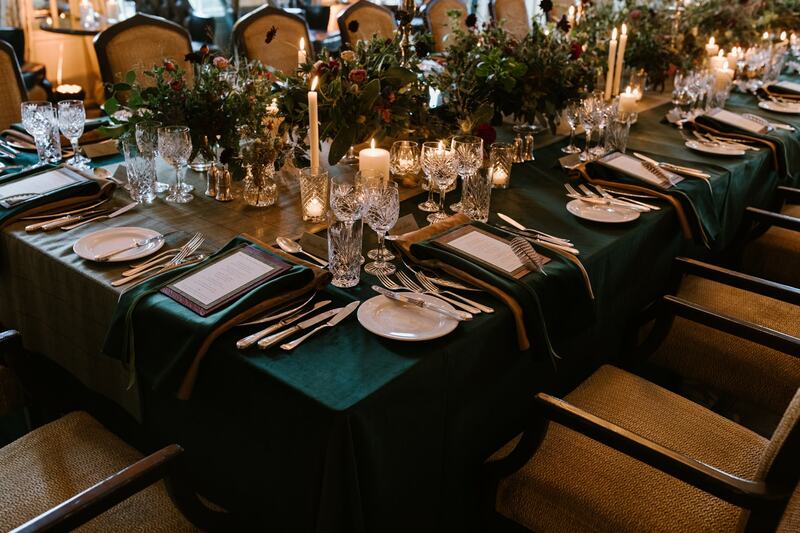 Keeping the myths and legends of our past alive, we then brought our guests together for an elegant dinner in a textural experiential setting. 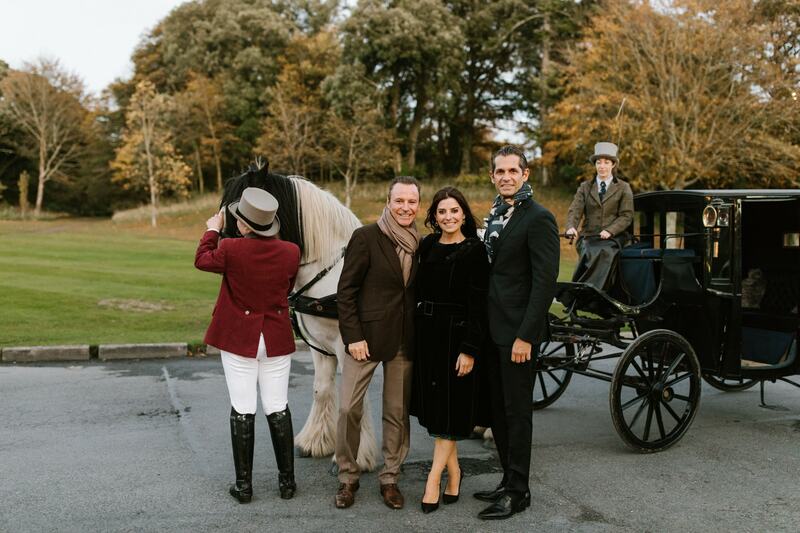 Showcasing the best of Irish produce from the land to the sea and igniting the senses with fresh, wild florals amidst sumptuous textures of leather, velvet and suede was our creative inspiration for the evening. 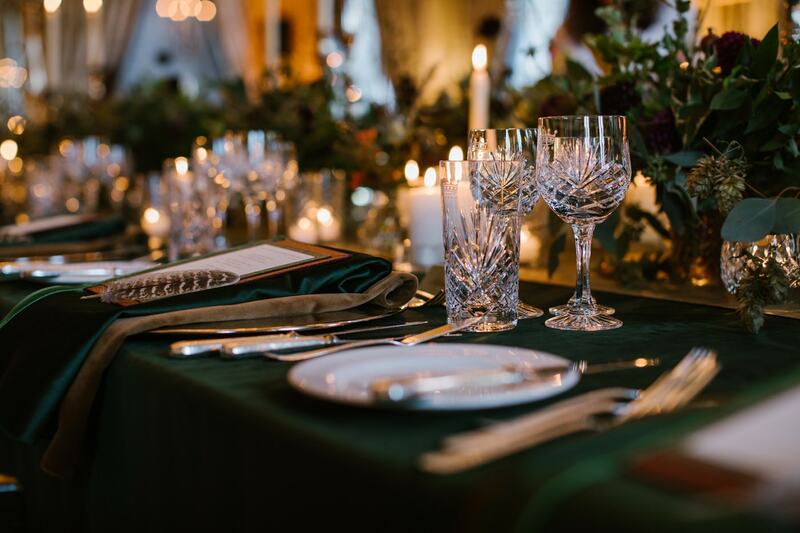 The soothing tones of the traditional Irish harp along with the following quote from WB Yeats underpinned and enriched this beautiful dining experience and very special gathering- "There are no strangers here; Only friends you haven't yet met”. For more exclusive images and behind the scenes sneak peeks, come and join us on our Instagram page!